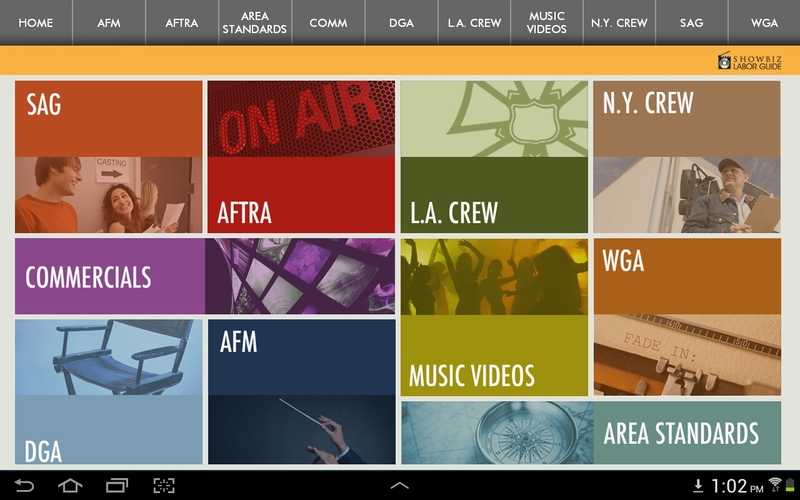 Media Services and Showbiz Software are proud to announce the release of three brand-new mobile apps for iPad and Android tablets. As first reported in the Hollywood Reporter, the production tools were released yesterday in conjunction with the annual Labor Guide Launch Party in Los Angeles, held at the W Hollywood. 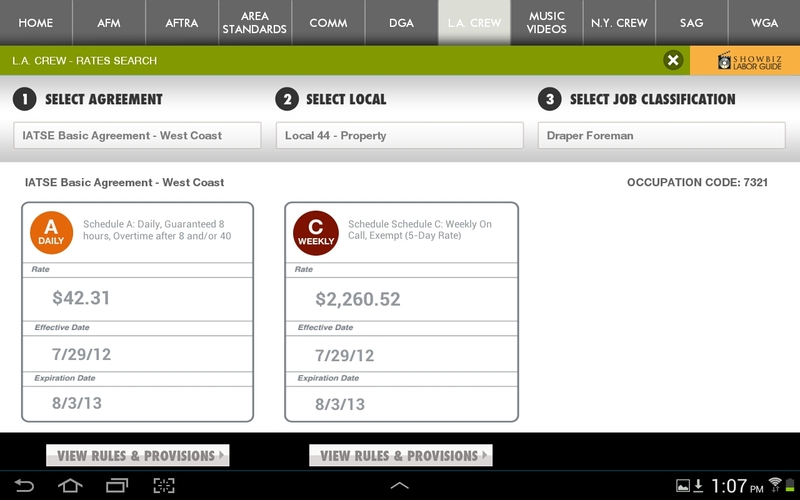 The flagship app is the Showbiz Labor Guide, which mirrors the printed edition of the same name, but with easy touchscreen lookup of any wage rate from film and TV union agreements spanning the United States, such as IATSE, Teamsters, SAG-AFTRA, DGA and WGA. The drill-down menu allows producers and accountants to select region, agreement and occupation code to get wage and hour minimums sorted by schedule (Daily, Weekly, On Call, etc). The Showbiz Directory app is a standalone mobile database of entertainment industry vendors and crew members in production centers across the country. Media Services eForms is a series of fillable, signable forms for employees working on film, TV and commercial productions. Many of the forms are specific to Media Services’ payroll division: now clients and their crew can fill out start paperwork and send it directly from their tablet devices. All three apps are currently available in Apple’s App Store; the Labor Guide and Directory can also be found in the Google Play store. The Labor Guide was released with the introductory price of $19.99, while the other two apps are free. In conjunction with the rollout, Media Services and Showbiz Software raffled off three iPads to attendees of last night’s launch party, where several hundred were in attendance. The New York launch party is slated for December 6 at Chelsea Manor. Register for it here. This entry was posted in AFTRA, DGA, Film, IATSE, Los Angeles, New York, SAG, SAG-AFTRA, Teamsters, Technology, Unions, WGA and tagged DGA, entertainment unions, filmmaking, Hollywood Reporter, IATSE, Jonathan Handel, Labor Guide, Media Services, sag-aftra, Showbiz Labor Guide, Showbiz Software, Teamsters, TV production, WGA. Bookmark the permalink. So impressed with the Leimomi Coloretti and all the other staff at Media Services and Showbiz Software.